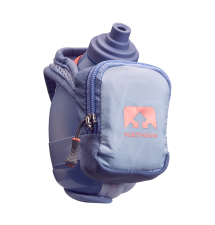 Home › Latest News › What's Your Hydration Plan? The temperatures are already rising here in Pittsburgh which means it's time to start thinking about hydrating on your summer runs. 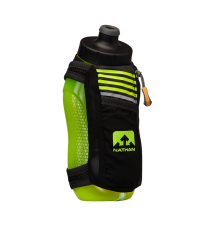 Stop by the store and we can help you find the right gear to stay hydrated no matter what distance you're training for! 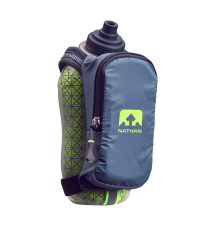 Check out our awesome line of products from Nathan below. 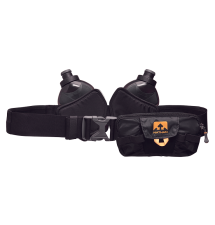 The most functional and comfortable insulated Flask ever! The new and improved shape allows for the most natural grip possible and easy-squeeze access to fluids. 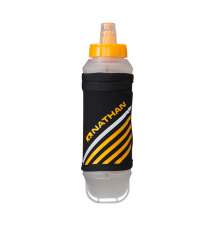 Lightweight and ergonomic, this grip-free handheld flask is the perfect training partner for longer runs. Add ice easily with the large cap opening, and enjoy the high volume flow of the Push-Pull Blast Valve cap. 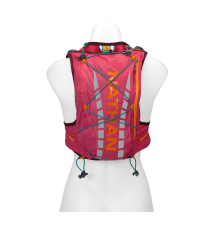 The lightest-weight women's Hydration Vest option brings the ideal balance of storage capacity, functionality, and weight to even the most demanding endurance athletes we work with. Believe us, our ladies tell it like it is!